At the core of the world’s most admired businesses lies a powerful Single Organizing Idea (SOI). These organizations deliver both sustainable economic and social benefit; they unite people, attract investment, inspire innovation, pioneer new efficiencies, and enjoy positive reputation. Such businesses are praiseworthy; however, they remain a rarity. This needs to change. 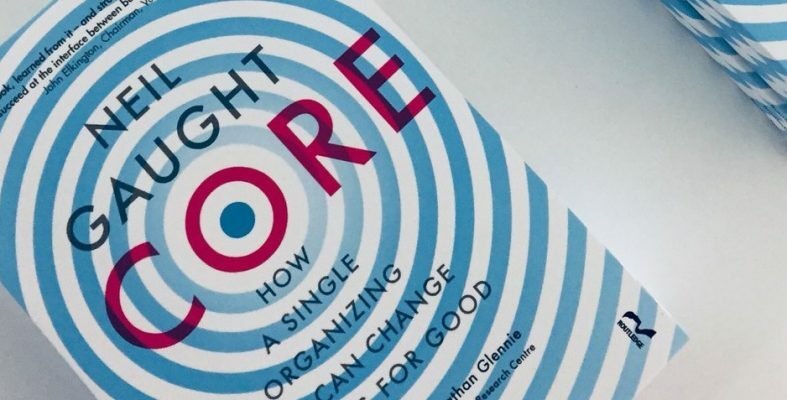 The following excerpt comes from the introduction to the book CORE: How a Single Organizing Idea can Change Business for Good, by Neil Gaught. The Country Director was in full flow now. She radiated passion and intensity through every word she delivered. The sheer belief expressed in her eyes lived up to the vivid portrait the senior management team back in Washington DC had painted of Lana Abu-Hijleh, the woman they nicknamed “The Queen of Palestine”. As she uttered these words a spontaneous sense of both euphoria and relief hit me. This was it—this was what I had been searching for. I was “on a mission” as they say in the international development sector. This time for a global NGO with a new CEO at its helm. Pretty much everything in the NGO’s world had changed. While his predecessor had benefited from unprecedented levels of funding following the 9/11 terror attacks, the new CEO was having an altogether bumpier ride. The 2008 global financial crisis, new types of competition, new political masters, new technology and a new generation of people with fresh ideas ensured that questions about identity, role and value, previously left skulking in the long grass, now needed to be answered. My mission was to help find those answers. Like many previous missions it took me on a journey of discovery. In this instance across four continents and into the offices of government ministries, behind the locked doors of embassies, to the air conditioned sanctuaries of multilateral institutions and global corporations, to the simple workplaces of civil society organizations, and into the homes, schools and hospitals of some of the world’s poorest people. Before I sat down with Lana that day I had engaged with over two hundred people in one way or another. I simply wanted to know the fundamental truth of this NGO. And Lana nailed it. Consequently, on September 18, 2012, the Cooperative Housing Foundation changed its name after 60 years to Global Communities. Below the name it proudly presented its marketing strap-line: “Partners for Good”. But this isn’t just a strap-line. It’s a powerful statement of intent. An invitation to unify. A rallying call and a reference point against which everything Global Communities does, every new initiative it considers and every result it achieves is measured. “Partners for Good” is a powerful Single Organizing Idea that will continue to catalyse change and help the organization transition and adapt to the needs of the 21st century. That’s what a Single Organizing Idea does. But so what if an NGO dedicates itself to doing good? That’s largely what NGOs are there for in the first place, right? 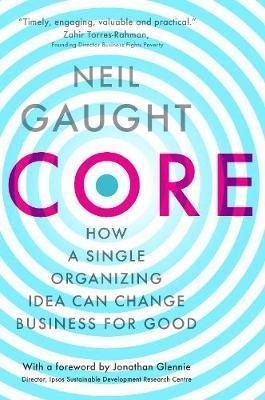 This book is about how commercial businesses can also adopt a Single Organizing Idea, and more importantly why they have to. The truth of most businesses is hidden behind their brand and an approach to branding which is out of touch with audiences who want to understand who they really are. Identifying, defining and aligning a business with a Single Organizing Idea (SOI®) can change that and at the same time potentially help change the world. And it’s a necessary change. The private sector and many of the colossal corporations that dominate it realized some time ago that we can’t indefinitely keep plundering the finite resources of our planet—they’re already running out. We can’t indefinitely keep shifting activity to lower wage economies—soon there won’t be any left. We can’t keep widening the wealth gap because it continually diminishes the number of consumers who can afford our products. Capitalism is running out of options. At the same time, societal expectations of business are changing. People no longer want to engage with organizations whose sole purpose is to sell us things and make a profit. That seems vulgar and unattractive now. Society expects more. It gets behind organizations that are perceived to be forward-thinking and actively engaged with the big issues and the topics we care about. Conversely, the businesses that seem oblivious or aren’t forward-thinking enough are likely to be penalised with increasing frequency. Businesses can’t keep pretending to be benign to their employees, their suppliers and the planet if they’re not. They operate in a world saturated by social media that now exposes bad behaviour, or indeed any behaviour that doesn’t contribute to the greater good. And when businesses aren’t perceived as contributing to the greater good they can no longer attract and retain high quality employees or investors. Likewise, businesses can no longer succeed in the long term selling products and services that underperform because, again, social media spreads the word and businesses are being held to account like never before. What businesses really need in the first instance is an understandable, unifying, compelling, relevant and, yes, permanently sustainable conviction set right at the very heart of the business. A Single Organizing Idea meets that criteria. In simple terms it’s a strategic management tool that helps businesses revisit their raison d’être and then change at a practical pace from the core outward. It is what this book is about.